I recently listened to Arianna Huffington’s Thrive podcast featuring an interview with actor/activist/investor Ashton Kutcher when I had an ah-ha moment. Kutcher, who uses technology as tools for streamlining his life, has experienced a somewhat backwards phenonemon. More efficient technology has created more time with his wife, Mila, and their kids. His philosophy is spot on, and dare I say, groundbreaking. 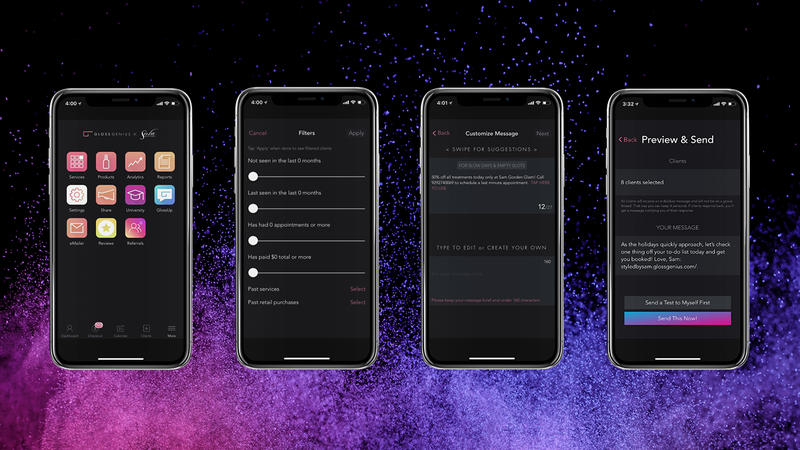 As SolaGenius’s product director, my goals include making your life easier by creating simple-to-use tools that make life more efficient for our 11k strong community of Sola professionals. Don’t we all want a happier, healthier work-life balance? Of course we all say we want that, but committing to it is a whole other ballgame. Apple, aware of the growing trend to help minimize our technology addictions, announced a new "Screen Time" feature in iOS12 for iPhones. Screen Time will not only track how much time you spend on your phone or tablet, but will also offer tools and suggestions to help minimize the amount of time spent on your devices. While it might sound ironic coming from someone who's career is based around a mobile app, it’s really ok to step away from your phone! That said, because we have so much technology at our fingertips, we have the ability structure our time in ways that allow technology to serve us, rather than the other way around. As an all-in-one salon management tool, SolaGenius allows more productivity in less time so you can focus more on creativity with clients, rather than being consumed by administrative tasks. But don’t just take my word for it (I might be a little biased). Sola professional Ashley White shared her experience with SolaGenius and how it's change her life for the better. Need more? Last month, Kim Bennett owner of Kim Bennett Studios and Sola’s Culture Ambassador, was in the home office to help host a SolaGenius webinar on text marketing. While there, she had four bookings ping through SolaGenius which allowed her to power through the webinar without interruption because it automatically handles scheduling and confirmation. She didn’t have to do a thing! 1. 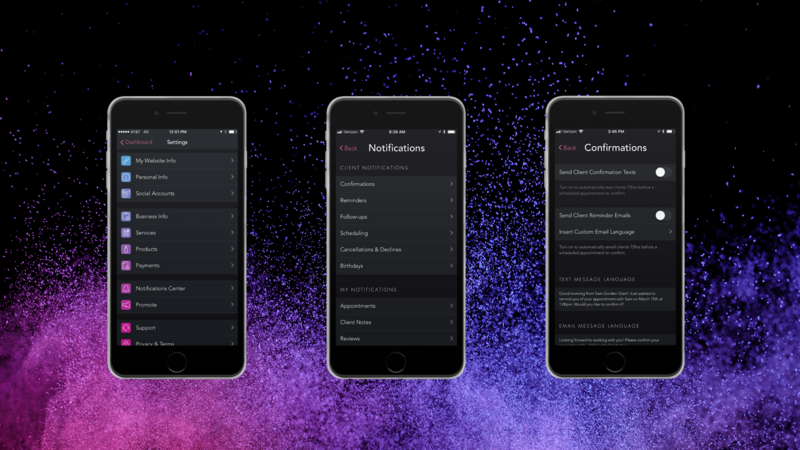 Take advantage of #BOSS status by customizing your settings for streamlined communications. Even when your device is shut down, SolaGenius never stops working on your behalf. From scheduling to sending automated reminders and notifications, consider it done. 2. Want to share an exciting announcement or promote a special? No problem! With the text and email marketing functionality, SolaGenius lets you reach out to all your clients at the same time - without the exorbitant fees other apps charge. 3. Let’s revisit Ashley for a second. Did you click her name and check out her awesome online booking website created using SolaGenius? 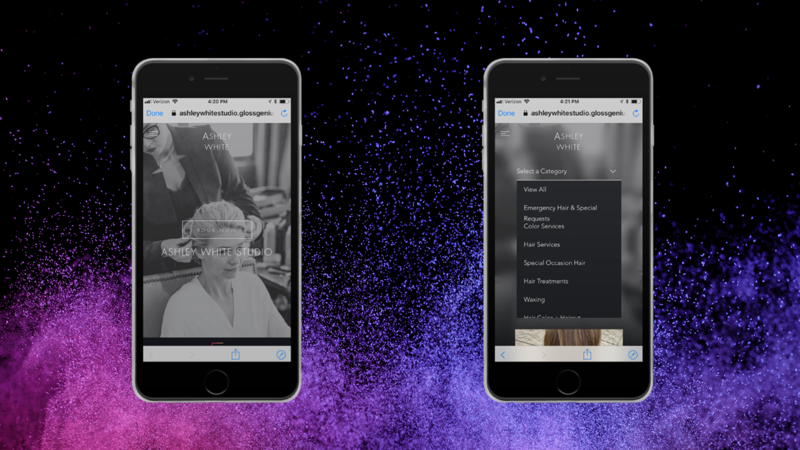 Front and center, her “Book Now” button lets clients schedule their desired service while also specifying rates and the time it takes for each service she provides. SolaGenius boosts efficiency for stylists and clients alike. 4. Need an energy boost? 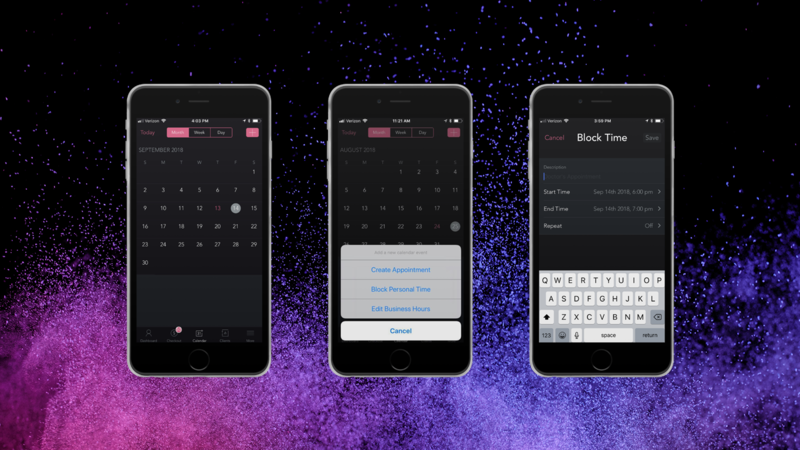 Book a block of personal time with SolaGenius’s calendar sync. Relaxing recharges your mind, body and soul. Rememeber, it’s ok to take some time for yourself. 5. Expedited next-day payments? Yes please! SolaGenius also sends daily personalized reports so you know exactly how much you’ve banked, tracking every cent - including your retail business. Whether it's more time with your family or less time crunching numbers, SolaGenius takes care of business for you so you can focus on what you love most. Not on SolaGenius yet? Try it now to get your first 30 days free!